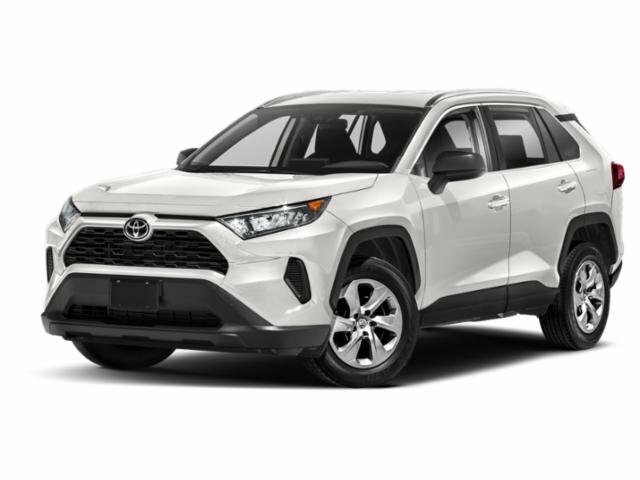 Access a new 2019 Toyota RAV4 at our dealership in Fayetteville, Tennessee. You will love the advanced Toyota SUV for its 2.5L 4-cylinder hybrid engine. What about the Blind Spot Monitoring system? The RAV4 has advanced driver-assisting systems that will watch the road for you to ensure that you don't miss anything. The new RAV4 also offers an available Adventure Grade Shift Lever with black roof rails with unique adventure grade mudguards! The new Toyota RAV4 has plenty of features available. Apply for financing in Fayetteville, TN today. Toyota Includes The Star Safety System™ & Toyota Safety Sense System™On Every New RAV4 Vehicle. Explore Tennessee lands with the help of a dynamic new Toyota RAV4 with a Remote Keyless Entry System and Hill Start Assist Control! Ask about the RAV4 dynamic safety features and Toyota financing options available on our car lot––we'll get you in a RAV4 fast! The new RAV4 also offers 12V power outlets so your passengers will always be entertained and charged. The new 2019 RAV4 is packed with a variety of innovative features, such as a base 2.5-liter inline-four mated to an eight-speed automatic transmission. To harness this power, contact the experts at Landers Mclarty Toyota today. We are urging customers to stop by our new and used dealership to enjoy our selection of SUVs and enjoy the new and improved RAV4 in all of its glory.